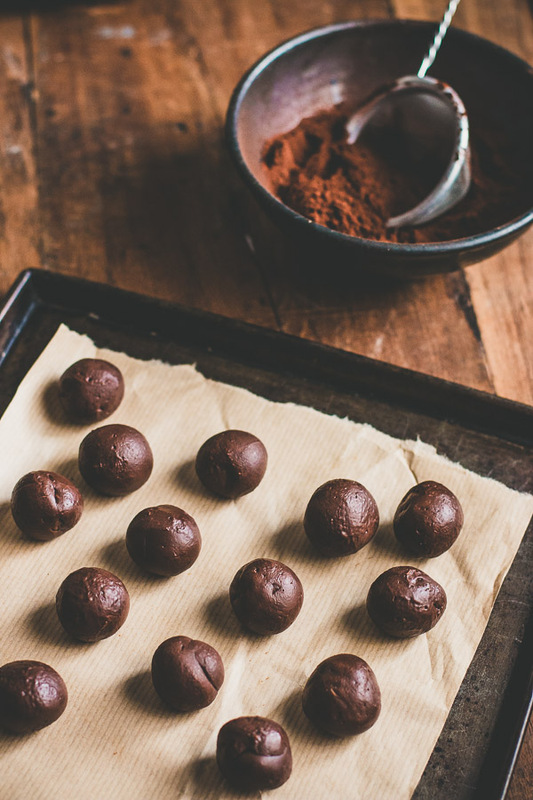 Chocolate Caramel Truffles - Pretty. Simple. Sweet. Addictive chewy truffles with a unique and amazing chocolate-toffee flavor. There are times when you want to impress someone with your baking skills, but don’t have the time or patience. In fact, it happens to me around 99% of the time. That’s why I became an expert in having recipes that are quick to prepare but taste so so good. I have yet to encounter anyone who didn’t like these addictive little bites, even those who claim to not like caramel (which is odd anyway!). Don’t be afraid of making caramel! I’ve learned that a good heavy-bottomed saucepan is an important tool when it comes to making caramel. You’ll get the hang of it after 2-3 tries, so there’s no reason to be afraid. Read my post about caramel to better understand how it’s done, and if it still scares you, try using the foolproof water method also explained in there. These are some of the best truffles I’ve tried. They taste fancy like those little treats sold in the most exclusive chocolate shops in Paris. 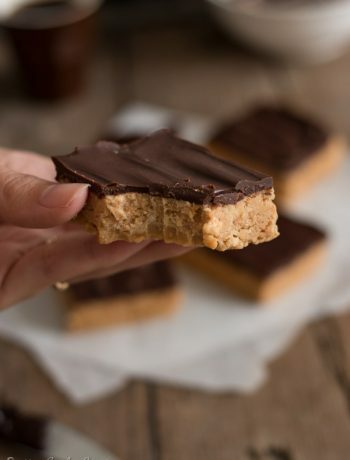 The flavor of both the caramel and chocolate is strong, and they are delightfully chewy. 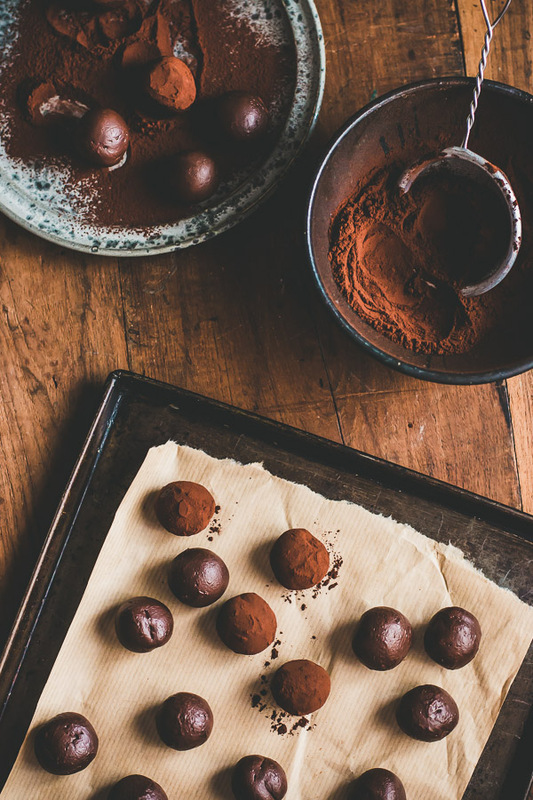 You know I’m all into cheap and simple ingredients whenever possible, but I must say that using high quality chocolate really takes these truffles to the next level. 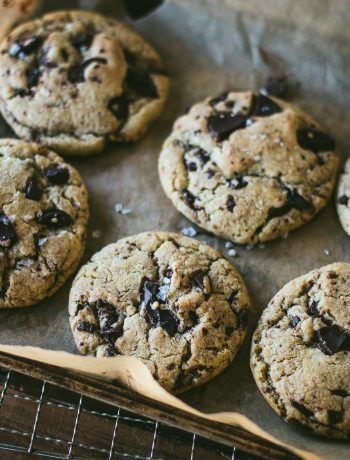 Just that one swap can change them from a delicious treat to an exceptional one. Bring the cream to a boil in a saucepan, then turn off the heat. The cream needs to be warm when it’s added to the caramel; if used cold, the difference in temperature will cause it to bubble vigorously. 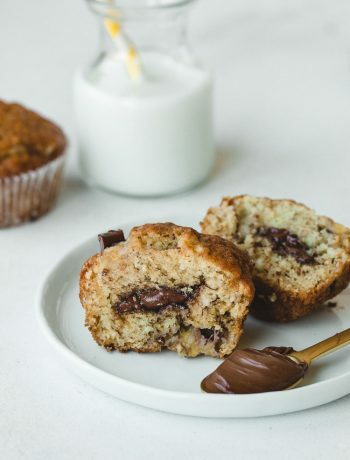 In a bowl that's large enough to hold all of the ingredients, place bittersweet and milk chocolate, then set aside. Make the caramel (check out my guide about caramel to learn more): In a medium heavy-bottomed saucepan (large enough to coat the surface with an even thin layer of sugar), heat sugar over medium heat. The caramel will usually start to brown at the edges first. In that case, gently push the liquefied sugar towards the middle of the pan using a heatproof utensil such as a whisk, spatula, or wooden spoon. Mix the sugar occasionally, or swirl and shake the pan to cook evenly and prevent it from burning, but don’t over mix as this encourages clumping. If clumps form, that’s ok; they will eventually melt. Once all the sugar has melted, pay careful attention and watch the pan, swirling it occasionally until the caramel turns a deep amber color. Add the butter very carefully, keeping your face away from the pan (mixture will bubble up! ), and whisk vigorously until butter has melted and fully combined. Carefully add salt and cream in a steady stream and keep whisking until combined, then remove pan from heat. Pour about one-third of the caramel into the center of the chocolate mixture and, working with the wooden spoon, gently stir the creamy caramel into the chocolate in ever-widening concentric circles. When the ganache is smooth, add half of the remaining caramel, blending it into the chocolate in circles, then finish with the rest of the caramel in the same manner and mix until completely smooth. Cover bowl with plastic wrap, place in the refrigerator and chill for at least 4 hours. 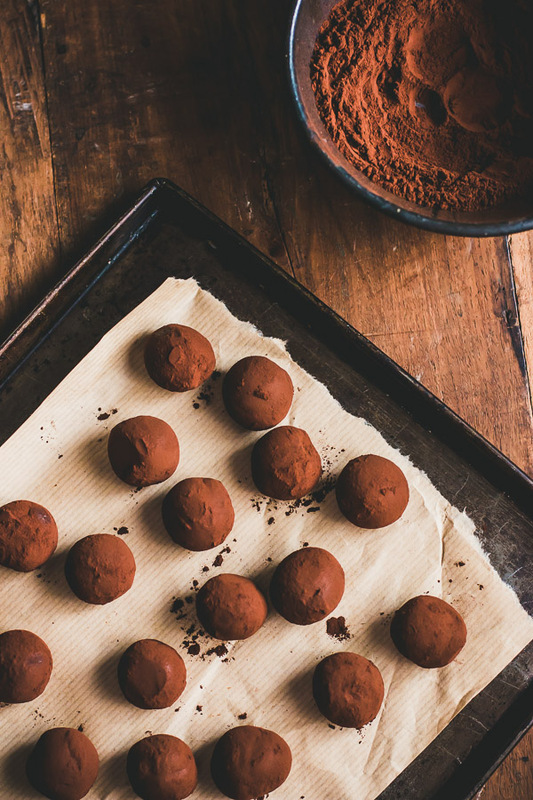 When you are ready to shape the truffles, spoon a generous amount of cocoa powder into a bowl, and set out a baking sheet lined with parchment or waxed paper. Remove the truffle mixture from the refrigerator, and for each truffle, scoop up the ganache (I measure them the size of 1 tablespoon exactly using this ice cream scoop). 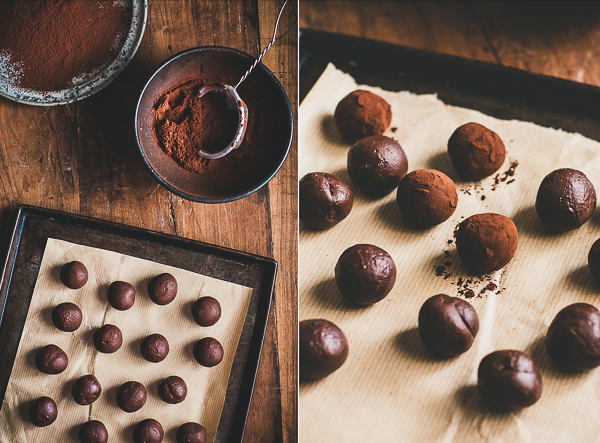 Drop each truffle in the bowl of cocoa powder and toss until well coated, then place on the paper-lined pan. I am excited to try this recipe, but I noticed this recipe calls for twice as much heavy cream as your linked caramel recipe calls for. Does the entire cup of cream go into making the caramel here? Or do you add half to the chocolate before adding the caramel mixture? Thanks! Hi Michelle, just follow the recipe and use the entire cup of cream for the caramel. Since there’s chocolate in this recipe, the quantities are different than my caramel recipe.